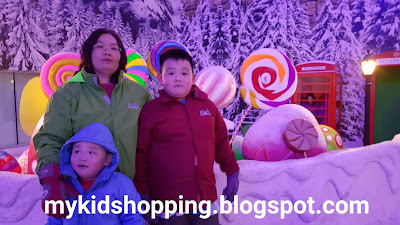 For those in and out of Malaysia, when Genting Highlands is mentioned, the first thing that would pop in your head will be the thrill filled, exciting rides that makes up their theme park. Not only that, being nestled high on a mountain peak makes Genting Highland the best place to escape the scorching sun to the salubrious mountain air. P.S., even though the outdoor theme park is currently under construction for the bigger, better, more extravagant Fox themed theme park, don’t let this stop you from getting yourself there. Here are the many other things that can be done up this mountain. Genting Highlands raison d'être, the Casino de Genting may not come anywhere near Las Vegas’s prime light where sparkling dresses, glittering neon lights and scantily-clad showgirls abound, but for all its worth, this is Malaysia’s only legal land-based casino. Men in batik shirts and women in pretty frocks crowds the tables and punters line the slot machines waiting for their luck to bless them with a big payout. There is nothing but pure fun here (and momentarily loss for some too). If you fancy being strapped safely into a harness and helmet and then jumping off a ramp into a dipterocarp forest, then this would surely tickle your adrenaline spirit. This airborne adventure sends you off down a 100-metre strung down the side of the hill, not only do you get to enjoy this jump down, imagine the view of the whole Genting right in-front of your eye. The ultimate best way to bond with friends and family and required minimum level of instruction, making it the perfect quick-thrill ride. 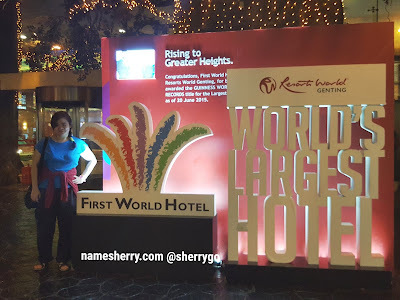 The Skyway Cable Car is the fastest and easiest way to get to the apex of Genting Highlands. This relaxing and scenic ride affords you breathtaking views of the surrounding hills; the gondola-style cab glides along at leisurely pace, making it an ideal photo-taking opportunity. Experience a winter wonderland, unlike any other in Malaysia, when you step into the snow-white landscape of Snow World. Featuring the Cresta Run snow slide, this attraction is a novel experience due to Malaysia’s hot and humid weather; it’s a great place to see kids playing and adults taking in the sights. First World Plaza has a bowling alley - Genting Bowl. One of the highlights at Genting Bowl is the glow-in-the-dark bowling. For those of you who feel like the indoor theme park has nothing to offer you, do make sure you take some time off your shopping trip and drop by this bowling alley and experience a one-of-a-kind bowling session with the family! Now that the entertainment part is covered, let’s talk hotels and accommodation. The hotels up here in Genting Highlands are stylish accommodations with impeccable service and spacious guestrooms with breathtaking mountain views. 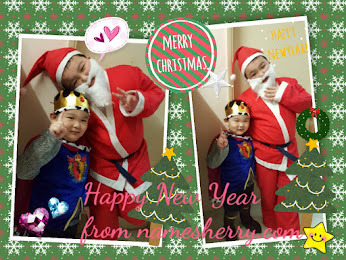 Here are some of our favourite. 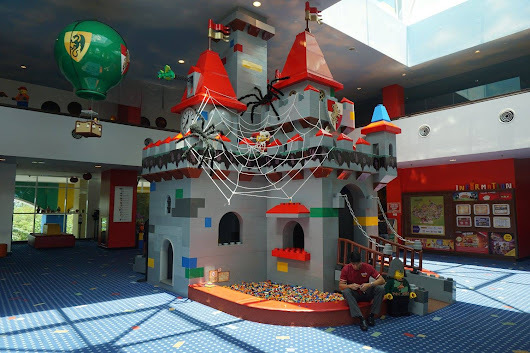 This hotel is officially the world’s largest hotel in 2015, as it adjoins the First World Plaza which boasts 500,000 square feet of indoor theme park, a shopping center and food heaven. Right at the main entrance, a lush, tropical rainforest greets their guests and all their rooms are modern, comfortable and practical. Indulge in five-star luxury while enjoying the breathtaking view of a majestic mountain range, and make full use of their 18-hole golf course, heated swimming pool, and other sports facilities. At Awana, the only main rival for comfort is their beautiful, stunning view. One thing about Genting is you need to plan your holidays well as the crowd can be crazy at times and rooms will be totally sold out. So it’s always best check with Traveloka on the availability and also for the best deals in town. 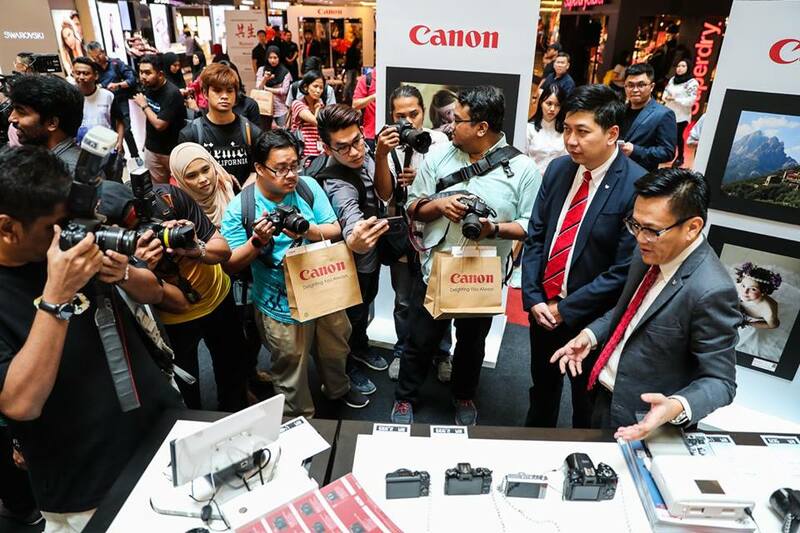 Canon Marketing Malaysia marked its 30th anniversary in Malaysia today by kicking off a product showcase here in Mid Valley Megamall for the entire week. As a leader in total imaging solutions, Canon’s product expo showcases a look back at the significant milestones achieved as well as the latest products. “The celebration of Canon Marketing Malaysia’s 30th anniversary is an exciting time for our company, and we are grateful for all of the local support and encouragement we have received over this journey. We are glad to have been given the opportunity to serve Malaysia, and we hope to continue delighting every Malaysian with our products and services,” said Andrew Koh, President and Chief Executive Officer of Canon Marketing (Malaysia) Sdn Bhd. True to its tradition and corporate philosophy of ‘Kyosei’ – defined by Canon as ‘all people, regardless of race, religion, or culture, harmoniously living and working together into the future’ – the company has pushed the boundaries of progression together with the country. Committed to establishing good relations not only with customers but also with the community, Canon has always endeavored to bringing imaging products and solutions that will inspire people and businesses worldwide. Through the product expo, Canon’s many products and pursuits can be seen as the company works to provide the best solutions to the community. “We remain dedicated to bring innovation and advancement to the country and the community; a commitment that symbolises our culture – ‘Kyosei’ – here at Canon. Since we arrived here in 1987, we’ve invested time and effort in providing imaging solutions in Malaysia. 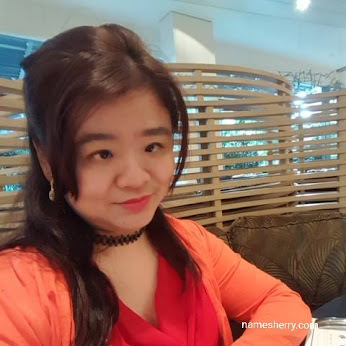 We were the first to launch the plain paper fax, colour copier, and colour fax machines in Malaysia, as well as introducing the highly popular Bubble Jet Printer,” added Andrew. 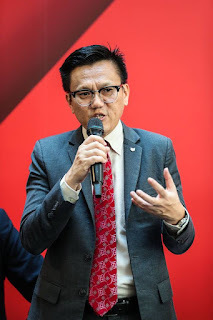 Andrew Koh, President and CEO of Canon Marketing (Malaysia) Sdn Bhd, shares on the 30-year journey Canon has undertaken in Malaysia. The kick off for the product showcase featured the latest and most updated technology from Canon’s product line-up, ranging from the PIXMA Ink Efficient Printer range such as the E470, the Maxify business inkjet printer range such as the MB5470, to the legendary EOS 5D Mark IV DSLR camera, and the latest premium mirrorless flagship model, EOS M5. Canon Ambassador Janna Nick also made a special appearance and greeted fans at the event. “Canon Marketing Malaysia remains committed in providing exceptional customer service through total quality management of our products and services. 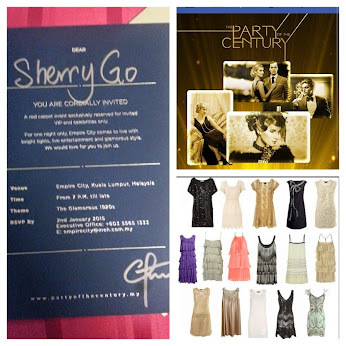 Through the continuous innovation and advancement of our products, we endeavor to provide end-to-end solutions for our customers and business partners, open communications, total staff involvement and collaboration in working with our business partners to achieve total customer satisfaction,” added Andrew. 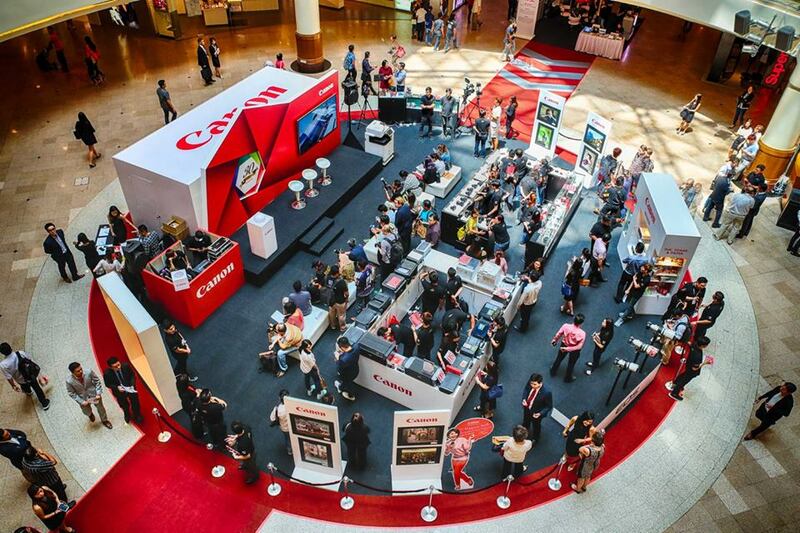 Canon Marketing (Malaysia) celebrates its 30th year anniversary in Malaysia with a week-long product showcase in Mid Valley Megamall starting from 13th February. 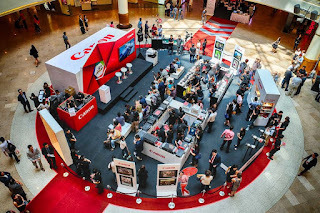 The showcase featured a line-up of Canon imaging products and its technology. Over the past 30 years, Canon Marketing Malaysia has evolved from a staff force of only 52 people in 1987 to 600 employees, one head office, seven branches, and a network of more than 3,000 direct channel partners, transforming Canon into a household name in Malaysia. 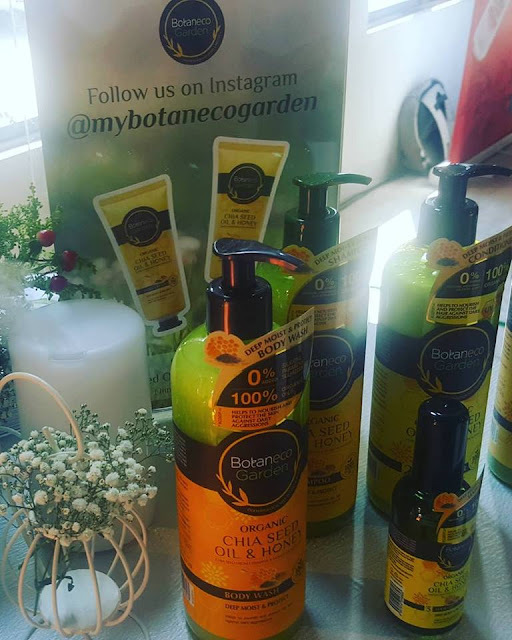 The company has also been honoured with 12 Putra Brand Awards and multiple Reader’s Digest Awards over the past 17 years in Malaysia, among many others locally - and internationally - acclaimed titles of recognition. Canon is currently leading the inkjet printer market as the Number 1 brand in Malaysia for 21 years and is the Number 1 laser printer brand for two consecutive years in the market. Canon was voted as the Readers’ Choice for the Best DSLR Camera Brand and Best Inkjet Printer Brand in the HWM+HardwareZone.com Tech Awards for three consecutive years from 2014 to 2016.